BlueScope have invested in a new coil plate processing line utilising stretch-levelling technology. The result is a new product, TRU-SPEC® Coil Plate steel, that will provide excellent product quality and consistency. This investment means that BlueScope can provide its domestic coil plate customers with an industry leading standard of consistently flat and memory free coil plate products. 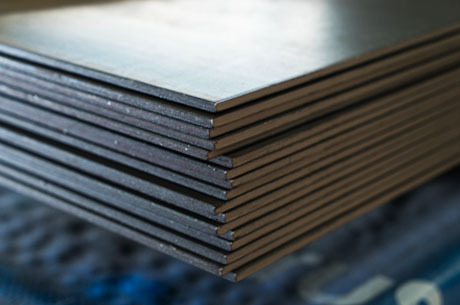 TRU-SPEC® Coil Plate steel is expected to have a significant positive impact for customers with improvement in consistency of cutting, bending and press forming performance. TRU-SPEC® Coil Plate Steel is available in a range of structural grades, widths and lengths. Typically used in light and standard structural members, brake press forming applications, light poles, trailer and automotive components, general fabrications and galvanising applications. TRU-SPEC® Coil Plate Steel also produces floor plate and weathering steel. Floor plate has a raised pattern on one surface and weathering steel has enhanced weather resistant typically used in bridges, railway rolling stock, storage hoppers/bins, shipping containers and for architectural features.